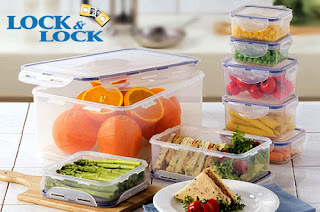 Today, pay $23 for $50 worth of airtight plastic containers and more from Lock & Lock. Thanks to a unique four-sided interlocking system, Lock & Lock containers are 100% spill-proof and airtight, so you don't have to stress over any on-the-go foods. Shop from a wide selection of BPA-free plastic, glass and more! If you're all set on food storage, Lock & Lock also stocks a wide variety of kitchen cookware, eco-friendly cups, home storage and more. So whether you want to keep foods fresh or freshen up your housewares, this deal has just the goods you've been craving.